Aussie-made interactive storybook Florence, which is already a hit on iOS, is now available on Android. Florence is billed as a story about finding love and discovering yourself that follows the heart-racing highs and heart-breaking lows of a young woman's very first love. It is the first game from Monument Valley lead designer Ken Wong since he left London-based studio Ustwo in 2016 to return to Australia. It was made by his new studio Mountains, which also consists of Sam Crisp, Kamina Vincent, Tony Coculuzzi – the later of whom was lead developer on Cuphead for two years. Florence is a short game, but it has drawn many rave reviews. "I dropped into melancholic nostalgia by the end of Florence, as I quietly took inventory of my own past relationships, and how they laid bricks in the road to the present," wrote Waypoint's Patrick Klepek of the game. 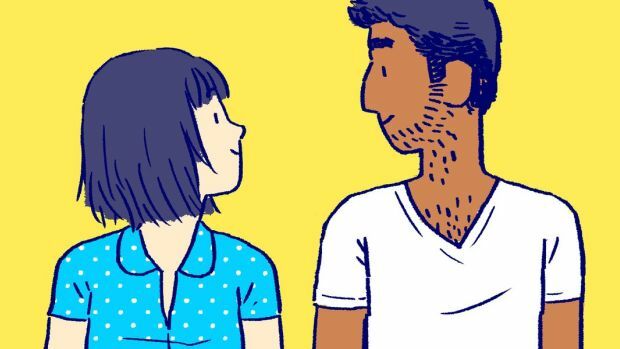 "I wish more games left me feeling like that, and that’s why Florence is worth your time." In an interview with MCV published yesterday, Wong said that he had few expectations as to what sort of game Mountains would make, but the team knew they wanted it to be meaningful. "We were having all these conversations about our relationships, our significant others and who we were dating and I realised that this was this very common human experience, but it was sort of a blind spot for games," he said. "Movies and books and songs are always celebrating this but games haven’t explored this as much, so I thought it would be a really good challenge to try and use game design to explore this theme." Communicating with visuals, music and gameplay scenarios allows players to interpret events as they wish, said Wong. "They can take away a deeper meaning rather than one that we tell them directly," he said. "And I think that almost makes the work more relatable, because people can read into things and put themselves into the story. And I think that’s definitely the case with Florence."